The PSPL5542 is an ultra-broadband, coaxial bias insertion tee and DC blocking capacitor that passes ultra-fast pulses with very low waveform distortion. 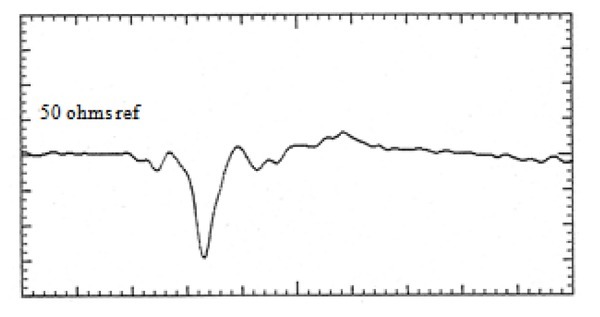 Its rise time is only 7 ps, and its frequency response is flat over many decades from 10 kHz to beyond 50 GHz. 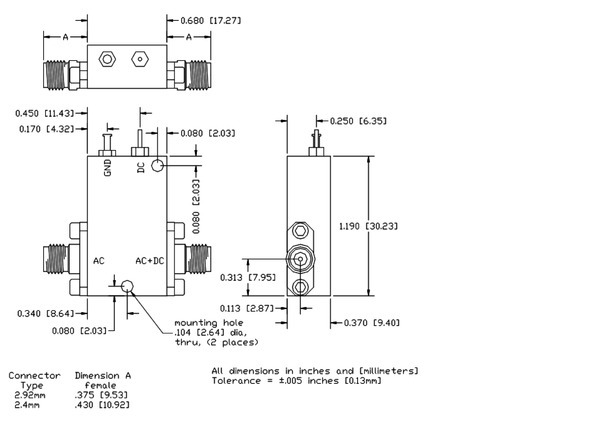 It is available with either 2.92 mm (40 GHz) or 2.4 mm (50 GHz) connectors. Its small package makes this bias tee ideal for 40 Gbit data systems as well as broadband RF and microwave applications. 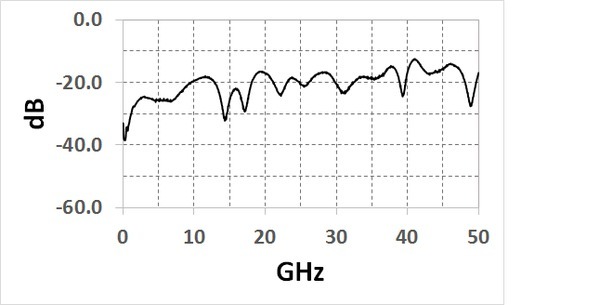 The following figures show the linear sweep from 0.04 to 50 GHz; the AC connector is the Input (port 1) and the AC + DC connector is the output (port 2). 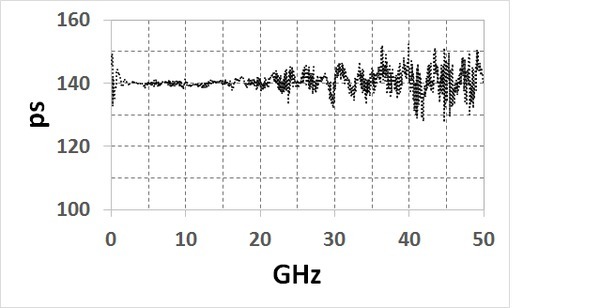 Log sweep from 10 kHz to 50 GHz. 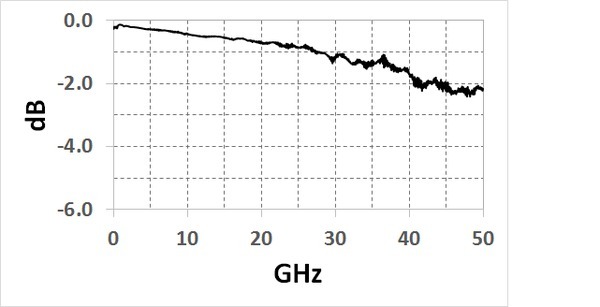 Insertion loss scale is 0.5 dB/div. 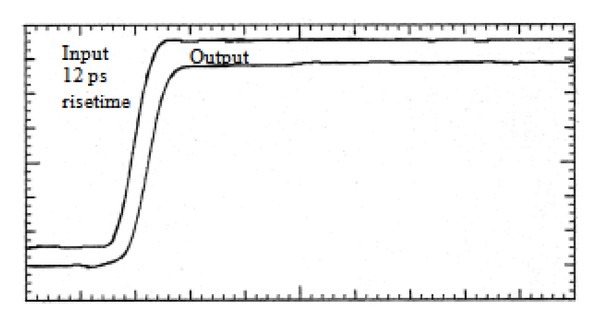 Return loss is 5 dB/div.